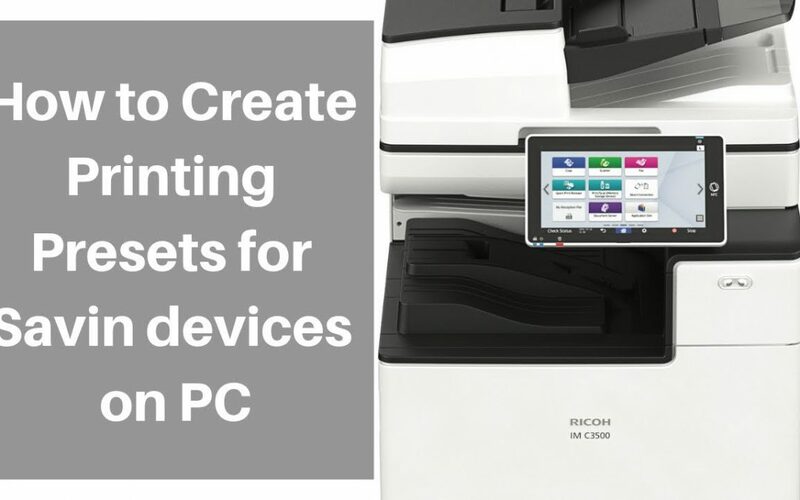 How to Create Printing Presets for Savin on PC | Duplicating Systems Inc. There are numerous ways you can do this like through a desktop app, web browser, etc. but for this video, we will be using Google Chrome. Once you have decided whether you want to print in B&W or Color, you can go into these presets and make adjustments to them. Make sure to save these adjustments or they will go back to the original settings.